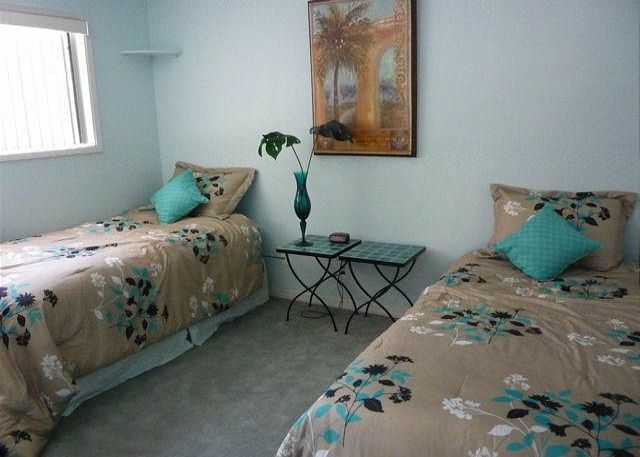 This property is great for a small family looking to find accommodations during their San Diego vacation. 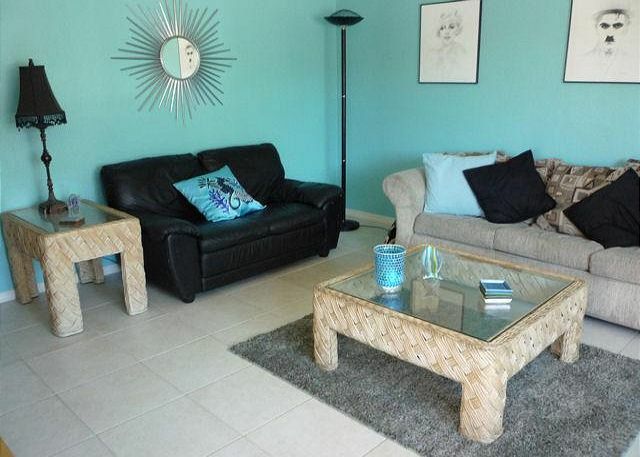 Walking distance to the ocean, bay, shops, and entertainment. The first bedroom has a Queen size bed, the second bedroom has two Twin size beds providing sleeping arrangements for four people. 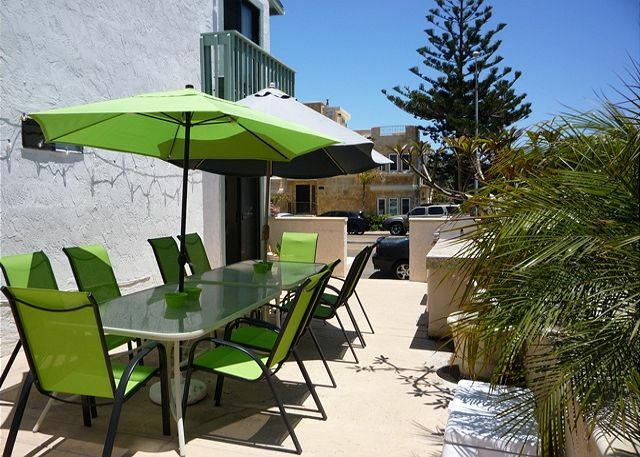 Enjoy the San Diego sunshine on the ground floor patio with BBQ grill, Please note, the patio is shared with other units within the building. Parking is limited throughout the Mission Bay area. Please be sure the vehicle you bring will fit in the designated area. This unit has one outdoor parking spot which can fit a standard size Suburban. Please contact us if you have any questions. 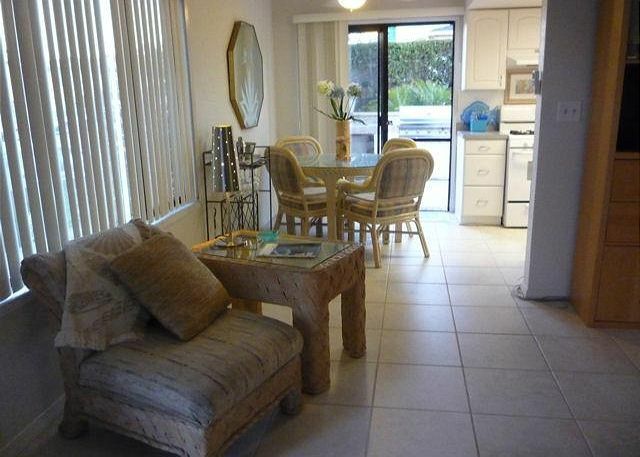 Rooms Sleeps 4, Cute 2 bedroom 1 bath located in South Mission Beach just off of Coronado Court. Ground level unit in 3 unit builiding. 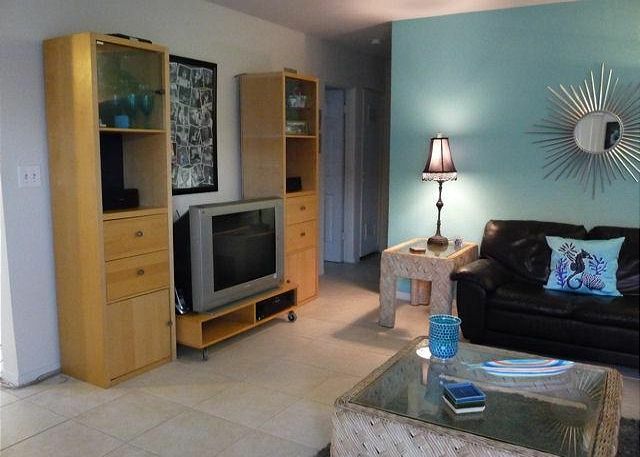 The property description was accurate, the property was clean, everything neat and organized. Nice patio area, the resident neighbors were nice. We had a few maintenance issues (nothing serious) and they were addressed immediately. Good customer service from management company and maintenance person. I would stay again and I would recommend this place and the management company to others. I would have liked to have an extra set of sheets for the beds as none were provided. Overall, we were pleased with our stay. Good over all. Some problems with the tub drain. The little house was a perfect fit for me and my 2 kids, relaxing and comfortable. Excellent location! The only issues we encountered were: 1) the gas grill - after prompt assistance from the office to locate the timer, it was a little difficult to lite, but we managed; 2) unfamiliar with cable boxes, again we had great assistance from the office, we received brief training and were good to go, except that after training, the system (tv-cable box-dvd) audio for the dvd player was lost. 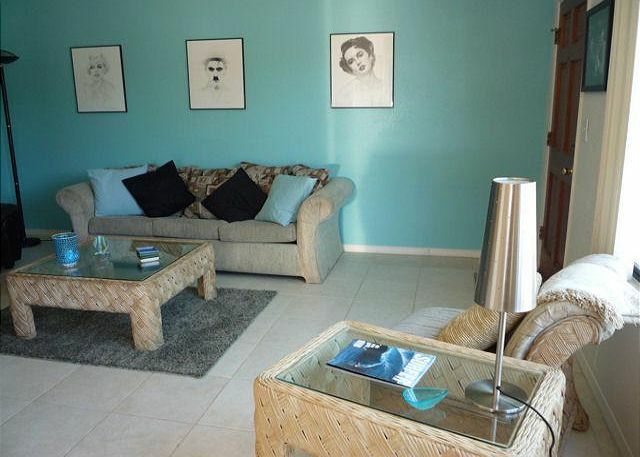 The house was clean, bright, well supplied, and comfortable. Too many previous visitors must strictly use the dishwasher - not was thorough as by hand (lipstick on glassware); Whomever stayed in 2850 didn't heed the advise to not bring a big vehicle and while my Honda Fit was properly parked in 2852, an Escalaid backed into space 2850 and hit my rear bumper, scrapping the paint and popping a hole - the vehicle was moved to the street later. Sad but true for my year old car. The great experience of the trip far outweighed any issues (sans one) and we look forward to making it a yearly event. We enjoyed our stay at this location very much! We had everything we needed and it was close and convenient! Looking forward to booking it again sometime!